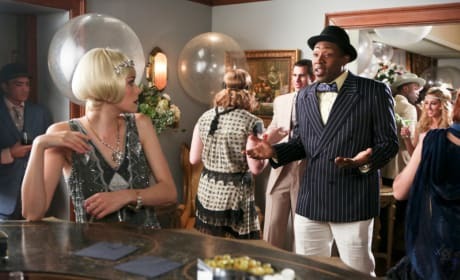 Lemon doesn't look like she's enjoying this shin dig even the the 1920s costume looks amazing on her on the return of Hart of Dixie. Lavon looks as though he's about to deliver some very bad news when Hart of Dixie returns. 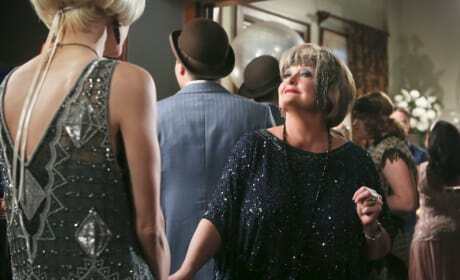 Even Grandma Bettie's all dressed up for the big party in "Here You Come Again"
What has Lavon and Annabeth hiding under a table on Hart of Dixie? 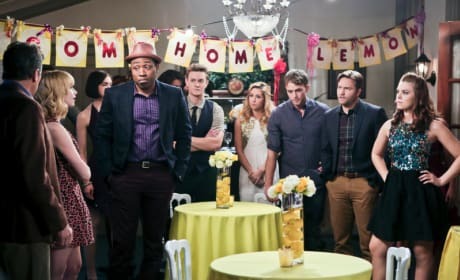 It's Lemon's coming home party but where is the guest of honor when Hart of Dixie returns on Friday, March 21st on the CW. 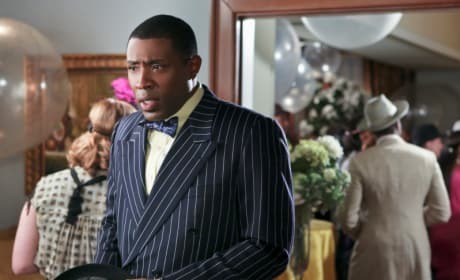 Will Lemon tell Zoe what the delay was in making it back on Hart of Dixie? 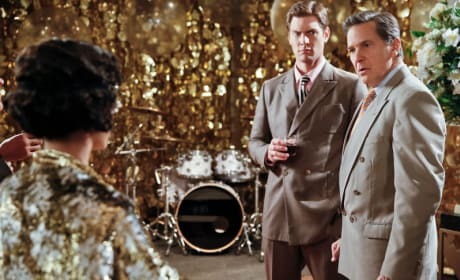 Why doesn't Brick look happy to see Zoe in "Here You Come Again" the 14th episode of the show's third season. 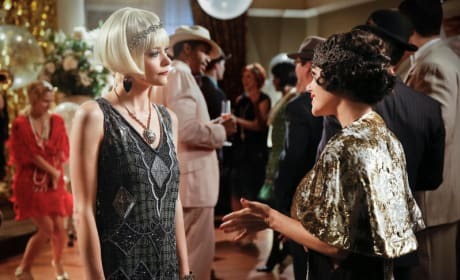 Zoe goes all out with her costume when Hart of Dixie returns on Friday, March 21st. George ends up having to help Magnolia in "Here You Come Again"
Zoe is thrilled to spend time with her mother, even if it takes becoming her client. Hart of Dixie returns Friday, March 21st. 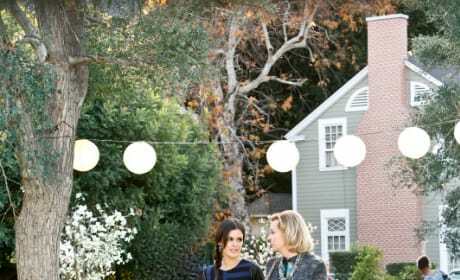 Candice takes on Zoe as a client on Hart of Dixie. "Here You Come Again" is the 14th episode of the show's third season.